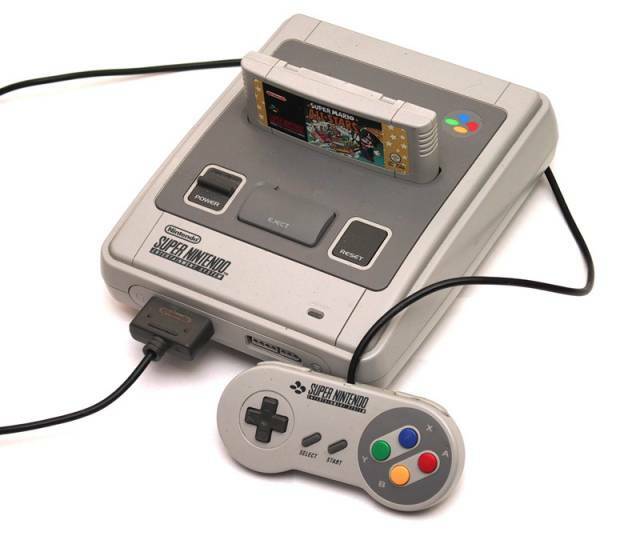 A very optimized SNES emulator by Reesy's and HeadOverHeels. No documentation. sneswiz reports that the CPU is locked at 200MHz. Is there any way to up it to help games hit 60fps? This was the whole reason I got the Wiz. The FPS seems really low. You can set the processor up to 400Mhz in pocketsnes.gpe under SNES Options. Don't use sneswiz.gpe I am getting an average of 50fps in my games. ^-^ I still don't know how to get back to the main menu when playing though. Have to restart the Wiz. With Pocketsnes press both volume up and volume down buttons at once, takes you back to the menu where you can exit application and manage save states. That worked perfectly. I never would have guessed in a million years to press the volume buttons. The save states work great too. Definitely useful when I need a break. Not having to enter a bunch of passwords like in Castlevania IV is another plus. Any chance of SMRPG being playable in a future release? The SNES emulator has can not save and is locked at 200mhz so I was trying to use pocket SNES. Everytime I try to load a rom it says error setting up DSP speed. Rendartsaid to change the sound settings but it did not work. I would not mind the lock if I could save butI can't so I want to use PocketSnes. You have to press save global settings after changing the sound settings. I did and it still does not work. I have the same error. I did just upgrade my wiz firmware wich might have something to do with it. So you can't make it Fullscreen??? When going to select ROM, there are no files to find. Keep selecting ".." to go up a directory but there are no selections no matter how many times I select it. Ideas? It runs A LOT faster than the gp2x version, Yoshi Island is now playable and previous games that were a bit choppy now runs with 0 frameskip. cannot wait to see it using better the hw anyway (it still doesn't render using 3d hw right?) ;) and maybe emulate Super FX support, that will be impressive. @dj2bklyn: I think the WIZ has enough support already. It's 2 months since now and a lot of nice stuff are out. I was surprised by that because I thought nobody would be interested (because of the pandora) Till the developers improve and release new emuls, there is a lot of things to enjoy in this console. Just wait a little and you will be pleased. A link to the Past works and that is all that really matters to me. That is, in fact, why I got a Wiz in the first place. Now I only hope the next firmware upgrade eliminates that annoying diagonal line. @DarkFace - From the menu, choose; SNES Options -> Render Mode: Scaled. Nice work on the emulator :) I don't know if it's just me but i can't get super metroid to run, the "Nintendo" logo at the start boots then it freezes up, also starfox freezes up shortly after starting a game, there might be some other games like this too, but if i remember, the old gp2x version was almost 100% compatible with games, great job nevertheless. Oh and super mario RPG, i'm sure that worked on the original gp2x? Can someone tell me why none of the emulators use the 3D hardware of the GP2x WiZ? Can someone program an OpenGL Glide Wrapper? On the faster games i get a diagonal line down the middle of the screen... is there a way to fix this? Other than that... f'ing amazing emulator. I would like to update, but I don't see a description of what's in this new update. What's different? Improved? The same? AWESOME!! Mario RPG plays! As does StarFox a bit slow but very playable, thanks!! I agree, I want to play some pilotwings too!! Works as well as the older version. I could not launch Super Mario RPG or Starfox. Faves such as Mario Kart and F-Zero ran great. Sometimes when i exit out of pocketsnes my wiz freezes up. Other than that and some diagonal tearing this emulator is AMAZING! How do you back out of a game to the menu screen? press the two volume buttons at the same time. Like Gpfce this is a go-to program for me. I must have it. Its stable, fast and reliable. Thanks a lot. Can someone release this latest version for the older GP2X? Legault, go to your settings and turn Transparency ON. It's because the first outdoors map is covered with rain animations, which all use transparency over the game. You may need to jack up the processor clock to 800 mhz to ensure it runs smoothly with transparency on - works fine for me. Please port this to Caanoo. Looks like some roms work, some don't. I put frogger in and it works great, but doom sticks at the title screen. Great emulation for the roms that work. how do you go to the menu on this thing? Im not sure if i did anything wrong on install of this program, however i have noticed with both versions of this program on this site but 90% of the time i load the pocketsnes.gpe and its either loads the menu then freezes or the menu does not show up at all. I am running on a gp2x Wiz at Wiz Version 1.2.6 with a Firmware Linux version 2.6.24 on Revision 359. has anyone else encountered this problem and if so did you fix it? This emu is great when it runs. About 3/4 of the time when I start it, it freezes at the main menu. My GP2X Wiz just came in the mail today, so it's brand new. If I can manage to get to the rom list fast enough, the games startup with out any issues, it's just, sometimes the menu locks up and I gotta reset the Wiz. Any ideas? Same Problem. Freezing in the Menu. Tried different Firmwares and Versions of Snes Emu. Alright, I know I'm not supposed to ask for help here, but the forum's in german so... For some reason none of the SNES emulators for the WIZ have worked for me. Pocket SNES used to work, but for some reason the program no longer loads. Please, just give me some kind of solution, answer, help,something. Awesome! Plays killer instinct perfectly with the transparency enabled! Even my psp couldn't pull that off without lag!